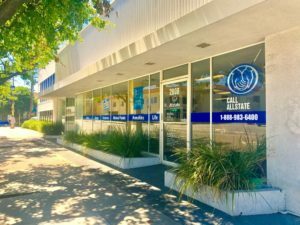 During Autumn of 1999 Robert Feldman opened the doors of La Crescenta Insurance Services Corp. with the idea of making insurance personal again. This vision allowed LCSB to expand with the acquisition of our Seabreeze Agency in 2011 and now Coast to Canyon Agency in 2017 for the Malibu community ; this gave us our current name, La Crescenta Seabreeze Agency (LCSB). Since the beginning, LCSB Agency's goal has been for our customers to think of us as their trusted adviser. We accomplish this by delivering quality insurance products coupled with the best customer service experience possible. To us, each customer is a member of our family, and we want everyone to feel the same. When we write a policy, we are with you every step of the way. We ensure that you get coverage that will fit your specific needs at price-points that work. You can always get a rough "ballpark" quote from online companies, but speaking to a real person at our agency will ensure that your insurance policy is tailor fit for you, and that you understand exactly what your coverage means. Insurance can be a tricky subject, we aim to make it simple. We currently have three offices located in La Crescenta, West Los Angeles, and Malibu. We are proud to serve these communities and look forward to opening our doors to Malibu residents looking for better insurance solutions!